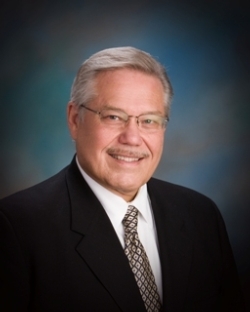 Dr. Tom Wilson, Founder of Life School, began a career in education in 1966 and faithfully served Life School 1998 until his retirement, July 2012. He has served as a speaker, pastor, director of private schools, and worked with organizations that have founded both national and international schools. Dr. Wilson married Brenda Kaye Mangrum in 1966, and four sons were born to them from 1969 through 1980. Dr. Wilson organized Life School of Dallas in 1989 to train adults who were jobless and without employable skills. Homeless housing, medical care, and job placement services operated successfully. Activities for youth and children were provided, and they were very successful in terms of the 100’s of youth involved. However, the crowds came and went, and Dr. Wilson was dissatisfied to see only a small percentage of persons whose lifestyles were permanently changed. Gang warfare erupted on the streets of Dallas in 1993. Dallas became the murder capital of the nation with the highest percentage of murders per capita of any United States city of 100,000 people or more. Dr. Wilson envisioned a free tuition school to teach and train the children before they get in trouble. During the next five years, Dr. Wilson read scores of textbooks addressing educational philosophy and successful school paradigms, and raised funds to provide resources to start a school. In 1997 he worked on a charter school application from the Texas Education Agency (TEA). Skilled educational lawyers, notable educators, and community leaders all worked together with Dr. Wilson to complete the extensive documentation required in the application. The TEA charter was granted on March 6, 1998, and Life School became a free tuition, open enrollment charter public school on August 12, 1998. Dr. Wilson’s remarkable vision, coupled with the dedication and professionalism of Life School faculty and staff, are impacting a new generation of successful achievers.